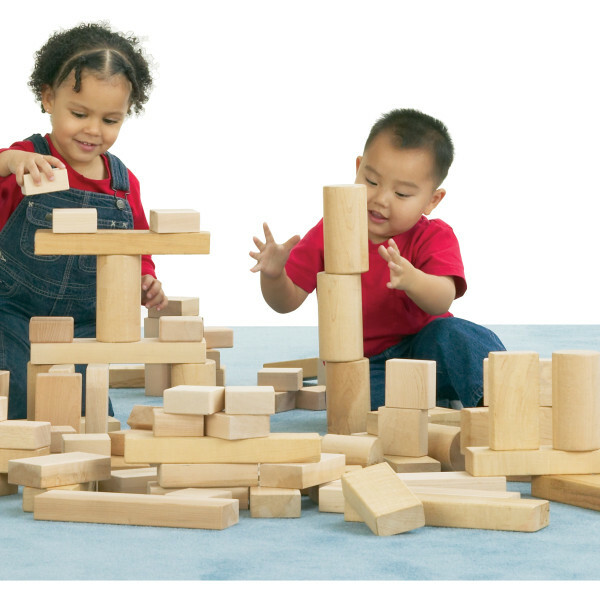 A block set especially designed for toddlers thru two year olds. 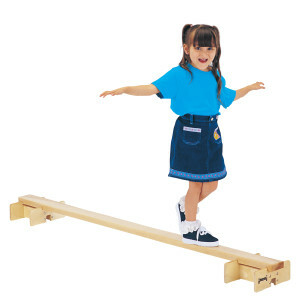 Four simple shapes of blocks provide the sturdiness needed to learn to balance the blocks successfully. 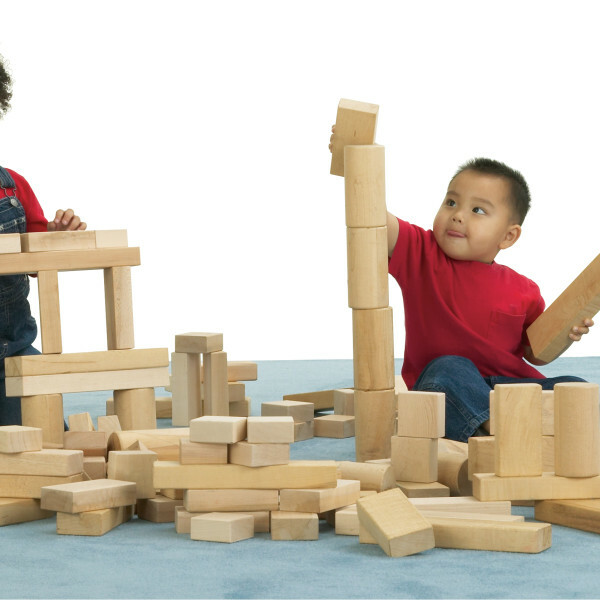 Block building is a small group activity and this set is assembled for two to three children. 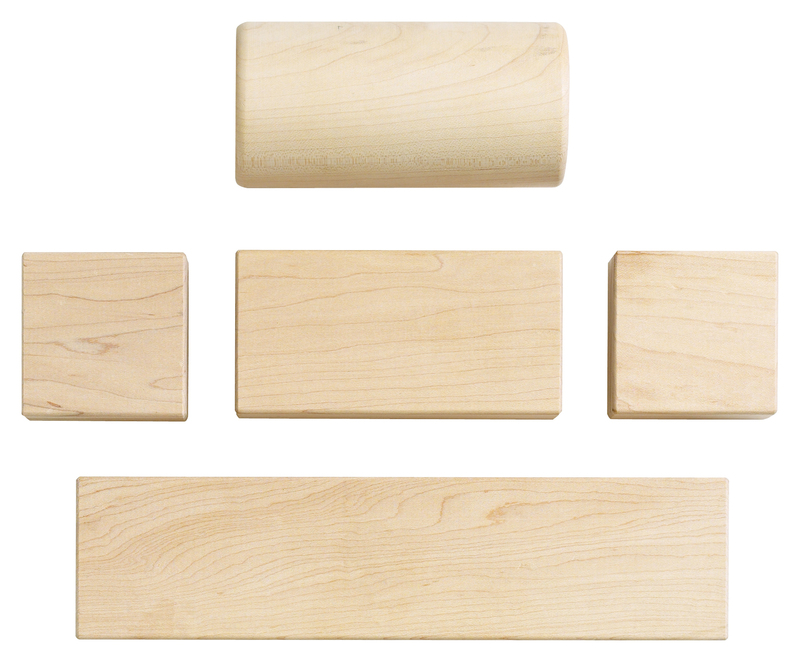 Constructed of hardwood, edges rounded and sanded smooth. 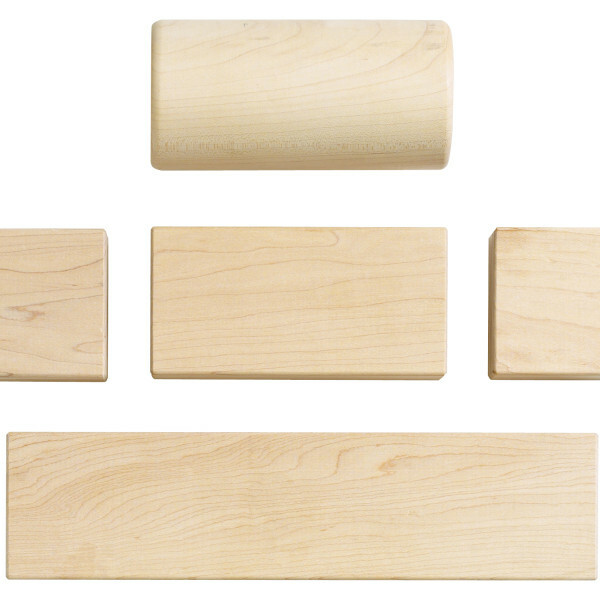 Based on the precise unit size of 2¾” wide x 1 3/8″ thick x 5½ long.